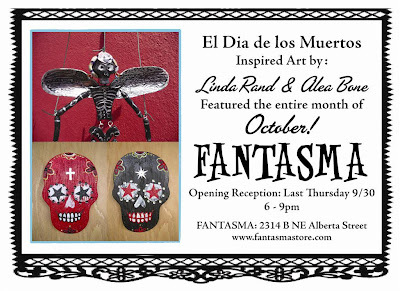 Muertos Season is upon us and October is full of Day of the Dead shows happening all over town. For the past few weeks I have been buried in sequins and glitter, painting skeleton smiles with bottle cap eyes to prepare for my show -opening Last Thursday, 9-30 at Fantasma on Alberta. 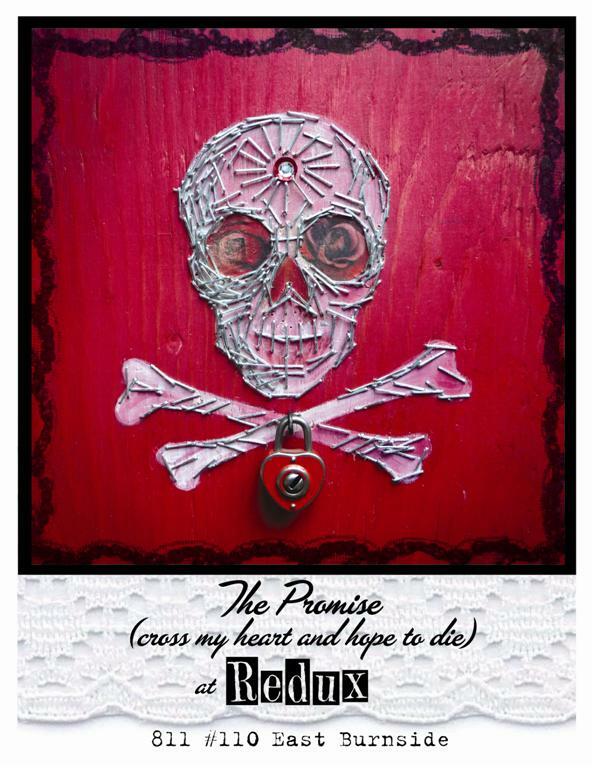 I have been having a lot of fun playing with new techniques and designs and am excited to bring them out of the Bone Cave into the light of the world at large! If you have never attended Last Thursday, THIS is your chance to get off the couch and step out into the street on a lovely, lively evening of ART, music, dance and spectacle. 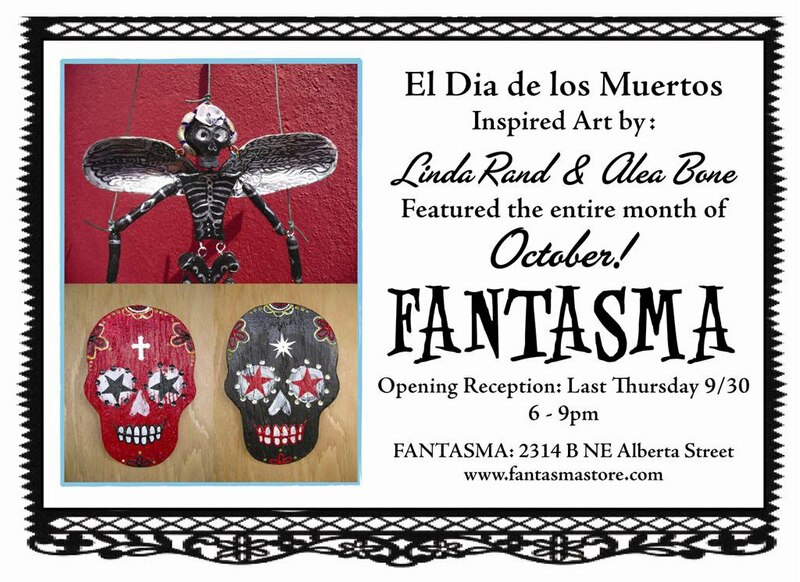 I will be at Fantasma from 6 -8pm -presenting my new assortment of Calaveras and sharing the spotlight with the Elegant Linda Rand. Hope to see you there! Loving this BUSY time of year! The Bone Cave!! Love it! 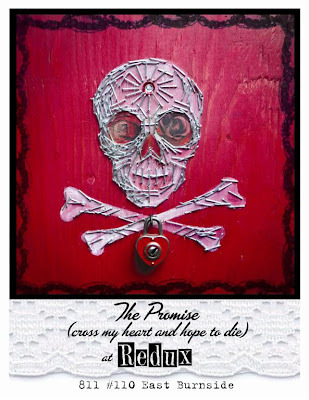 Hope I can make it to an opening . . .